As you see, the image in Photoshop is smaller than the saved one. The image gets bigger after saving it. There's a noticeable decrease in photo's quality after I save it. 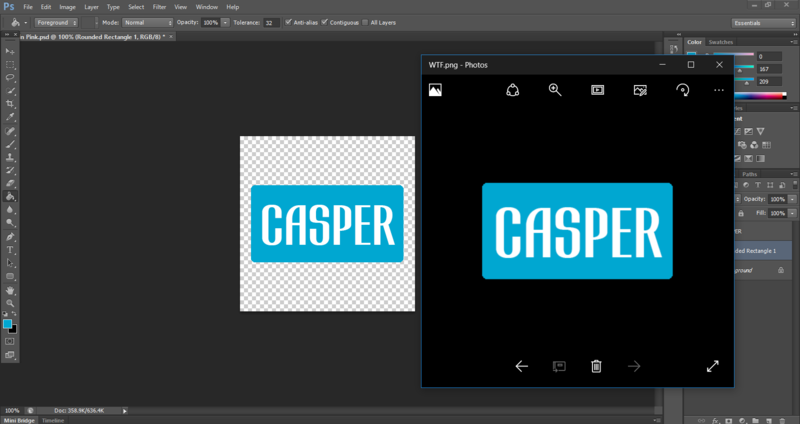 The one in Photoshop is higher quality than the saved as PNG one. Why do these two weird things happen after I save the image as PNG? (or even JPEG and save for web)? I tried to save the image in different formats but that gave the same result. Can you show us a screenshot of your "Save for Web" save dialog please? I suspect you are bumping the size up on the save. That would account for both the size change, as well as the quality loss. Also, what happens if you preview the saved PNG in a browser, not in the Windows file viewer? The file viewer thing may be giving a false size. The answer may very well be your image resolution. 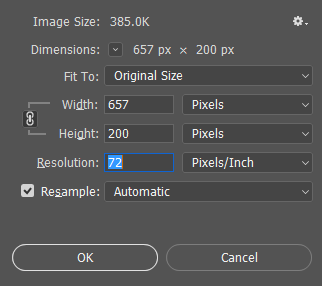 Your image has a pixel height and width, but it also has a third attribute called resolution that determines how dense the pixels should be displayed. Now this can be a hit or miss across programs, some will read the resolution and scale it accordingly and some will completely ignore it. The widely accepted default is 72 pixels/inch, which is called screen resolution. simply because that is the resolution of most screens. Retina and high resolution displays may be up to 300 pixels/inch. If you've ever printed an image you got from the web logo you've probably experienced this firsthand. Screens only require 72 pixles/inch to look seamless (no jagged edges) while photos require 200-300 pixels/inch to be printed out smoothly. Check your image resolution under the image menu under image size. If this is not set to 72, you may experience weird scaling issues like this. Either try saving with another method like save for web (which always saves to 72 resolution) or recreate your image at a different resolution. PNG should not have any artifacts such as with what JPG would have, since there is no compression, only optimization in how the colors are stored. Why does saving low quality JPGs as high quality in Photoshop increase their file size?